Holiday.gr - Fiskardo, a trip to a myth! Fiskardo, the graphic village that survived from the severe 1953 earthquakes, is the best spot in north Kefalonia. It is the only village keeping its traditional architecture and has declared tenable. 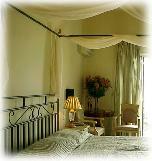 It is located 50km from Argostoli and it is built in the place of ancient Panormos. 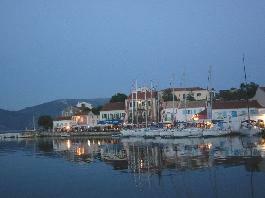 Its port connects Kefalonia to Ithaca and Lefkada. Here you will see celebrities’ yachts (of Greeks and personalities from the international jet set) that visit the island. And this is natural as Fiskardo has an international fame and many are those that visit it just to see this graphic port. A stroll in the traditional settlement will fill you with unique pictures of baronial Kefalonia, you will see nowhere else in the island. The old mansion from the 18th century with small balconies, narrow paths, hundreds tourist shops, fish taverns and coffeehouses create pictures taken from an art picture. Fiskardo impresses – pleasantly – visitors, as any time you choose to take a walk in its paths or sit and enjoy the magic view, the colours and the atmosphere are unique. Thousands of people walk, laugh, and live every moment. At night the moonlight is all over the port. A romantic walk is enough to take away the tense of the day. Dine in the coastal taverns or have your drink enjoying the breathtaking Ionian view and let your sight reach up to Ithaca. While staying in Fiskardo swim in the beaches of Eblisi and Foki that combine natural beauties and clear waters. It is worth visiting the byzantine church with a vivid expression of Dioskouri, the hollowness on the rock that locals call “throne of Queen Fiskarda”, the roman cemetery as and the historic monastery of Themata, dedicated to Panagia, on the top of a verdurous slope. Been to Fiskardo ? Share your experiences!